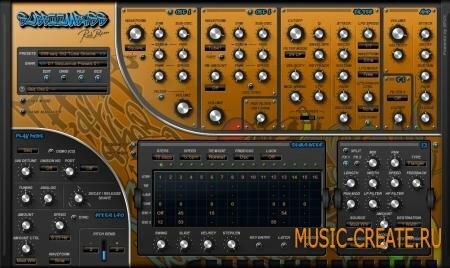 Rob Papen RG v1.6.2 - виртуальный синтезатор ритм-гитары, совершенно новый грув плагин. RG is a unique groove plug-in that is far more than just a "virtual Rhythm Guitar player ! It is only a matter of hitting a single note in the major keyboard range or minor keyboard range and the groove plays. 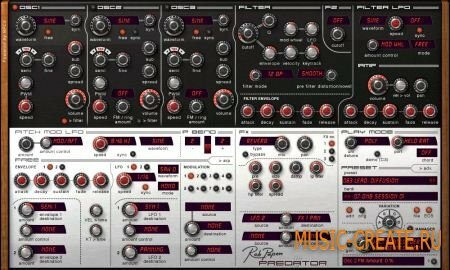 The sound sets are clean sampled guitars, which gives you great freedom and flexibility when using the synthesizer features and effects of RG. Additionally there are also the Power Chord, Distorted sound and Muted guitar sound banks which both have no major or minor range, but can still sequence A and B. 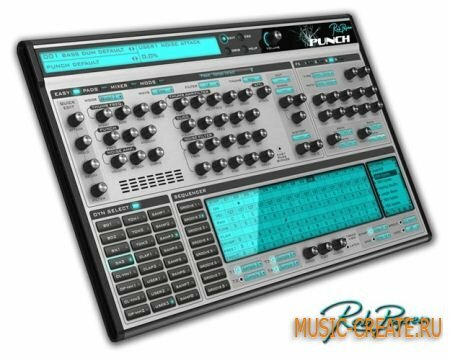 The synthesizer parts of RG include a classic analog modelled synthesizer filter, LFO, envelopes and modulation section. The effect section can be built up by using up to 3 effects at a time. 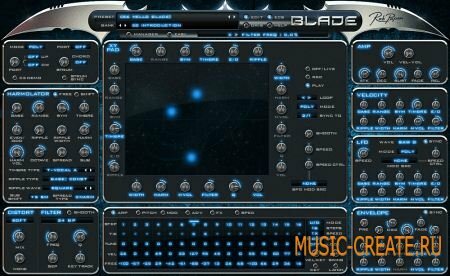 Included are midi time-based delays, chorus and also speaker simulators, phaser, flanger and many more. Included are over 1000 presets included 850 "RG" grooves and 300 "basic" grooves. Watch the "Video Tutorial" about RG! RG the very first "Rhythm Guitar Synth". We hate RP's protection code.